Go naked in public? What? No, no, not like that! But after years of wearing a heavy, liquid foundation, I certainly did feel free and naked when I switched to mineral makeup! No more feeling like my face was covered with something, and also the fear of my makeup rubbing off disappeared. Today I want to tell you about something pretty neat that is going on at Bare Escentuals. Rethink what a revolution looks like, from going bare in public to what freedom feels like. 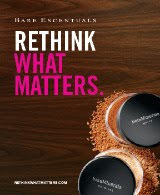 Bare Escentuals, the mineral makeup pioneer, invites you to shake up that foundation and sound off on topics that are more than just skin-deep with their new campaign, Rethink What Matters. The theme this week is “Rethink What Freedom Feels Like”. There are so many ways I could answer that question, and I am curious how you will answer it! I know I feel a certain freedom when I am driving with the sunroof open, when I walk along the beach, and I definitely feel free wearing a lightweight mineral makeup that offers coverage as well. Bare Escentuals invites you to give rethinking a try, too. Every week at RethinkWhatMatters.com, a new discussion topic will be featured with five questions for you to answer and share with your friends by email, Facebook and Twitter. What’s in it for you? Well, good karma for one. And free products and other fantastic goodies. Plus for a few really lucky ladies, an even bigger reward that will definitely make rethinking worth your while. Bare Escentuals will also be taking its message to the streets by dispatching Quickie Vans within select cities. Each van will feature a tagline (for instance, Rethink Going Bare In Public) to grab the attention of passers-by and pop up into a mini boutique with a team offering “make-unders” and samples. So stop by and “Rethink the quickie” for an impromptu make-under. A little information for you on the RETHINKWHATMATTERS.COM Contest! The Rethink Campaign Contest will run for nine weeks total. The first set of Rethink questions went out on 1-22-10 (Week 1) and the last set of Rethink questions will be going out on 3-19-10 (Week 9). The contest will end on 3-26-10. Every week there will be be goodies for a lucky (randomly selected) group of people who answer the Rethink questions and share with their friends. At the end of nine weeks (3-26-10), one grand prize winner and two runner-ups will be drawn. What is today’s prize? You will have to head over toBareEscentuals Rethink What Matters to find out! There is always something good up for grabs, and I’m pretty sure you won’t want to miss this week! Of course if you want to order any items for yourself, check out BareEscentuals store. The nice folks are also letting me give away something too! 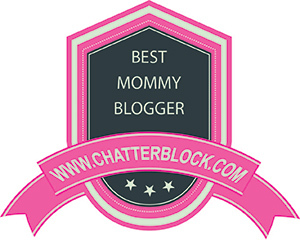 TWO (2) Winners received BareMinerals Blush in their choice of color! Giveaway ends February 12th at 9:00 (PST).